General Aviation Refuelers Fueling corporate jets is a serious business. When it comes to servicing your General Aviation customers, you can depend on SkyMark equipment to perform. SkyMark builds special purpose refuelers for mission critical military fueling operations. We are a preferred supplier to DoD contractors, and we are registered with the System for Award Management (SAM). 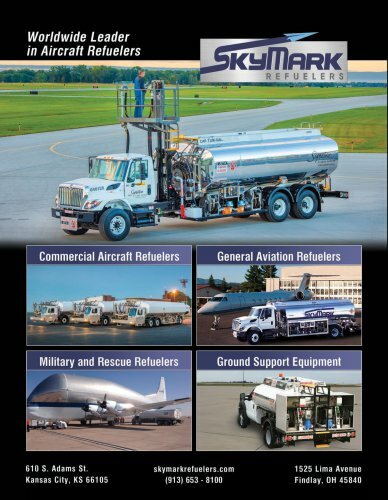 Ground Support Equipment SkyMark manufactures a variety of Ground Support Equipment, such as our GSE refuelers which feature the latest technology in data capture and inventory control.